There are many different types of USB and FireWire cables and port connections and it may be hard to know which cable will work best with your equipment. Let us help ensure you purchase the right cable the first time. By using our Cable Compatibility Finder, you can easily determine the options available for your needs. Simply select the manufacturer and model of your camera and we’ll show you the compatible cable(s) to help you get started and the extensions available. The list is updated regularly but if you don’t see your camera in the finder nor the chart below, please send us an email or, call us at 1 888-854-6565+1 888-854-6565. Please Note: All TetherPro cables support image import. However, not all cameras listed support tethered photography. 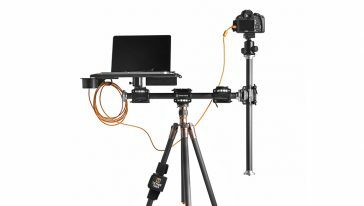 To check if your specific camera is supported, please visit our Tethered Software page. Note: Some cameras may not support tethering. Please check your camera's instruction manual. If tethering is not supported, this cable will allow for image transfer only. Don’t see your camera listed or can’t find the right cable? Send us an email or, call us at +1 888-854-65651 888-854-6565.